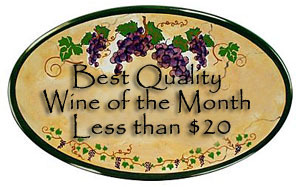 Synopsis, Our Opinion: EXCELLENT, INEXPENSIVE Beaujolais. 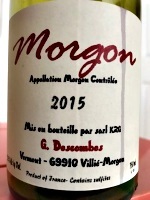 Producer/Winery: Georges Descombes; Villié-Morgon, France. 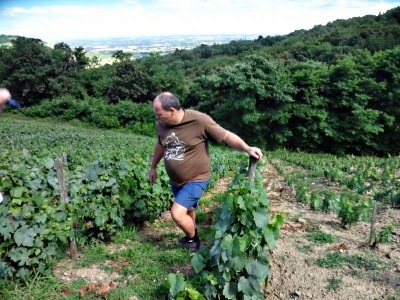 Geographic Appellation: Morgon; Beaujolais; Burgundy, France. 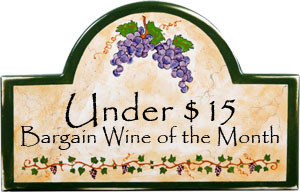 Purchased From: Woodland Hills Wine Company; Woodland Hills, California and another Matt Bayless wine selection. Opened one hour before drinking. Opaque, dark purple color with the same color rim. Cherry, spice and damp earth aromas (with wisps of alcohol on the first pour). POWERFUL yet smooth, fleshy, medium-light body and a 100-grit texture. Tart cherry and very ripe dark fruit flavors; abundant lively acidity intertwined with round tannins and a haunting mineral taste all the way through the long prominent fruity finish that was jam-packed with dusty flavors and acidity. Delicious paired with salad and very nice drinking without food after the dinner. EXCELLENT, INEXPENSIVE Beaujolais. Photo from Maya Pederson, Louis/Dressner Selections.